This listing is for one 1 oz. set of rolags. See available quantity to purchase additional sets. Lofty with halo from llama content. These hand dyed puni-style rolags are carded and pulled using a blending board. I do create multiple sets in the same colorway. The photos in this listing are representative of the sets, but exact appearance or number of rolags may differ slightly from set to set. Each set does contain the same weight and ratio of fibers. Lluxurious rolags may contain both superwash and non-superwash fibers. Superwash fibers will be listed in the fiber content as such. Lluxurious rolags may contain some vegetable matter, the majority of which will fall out during spinning. 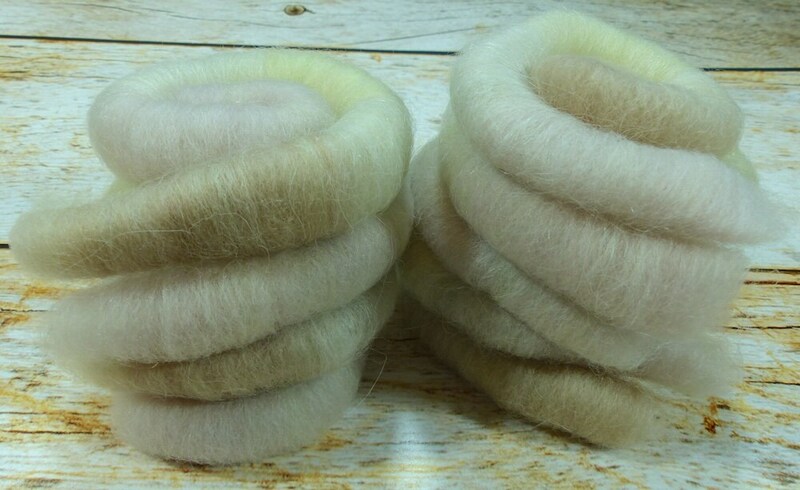 Allergen Alert: All batts are processed on the same equipment and may contain small amounts of angora and camelid fibers even where not directly stated in fiber content. 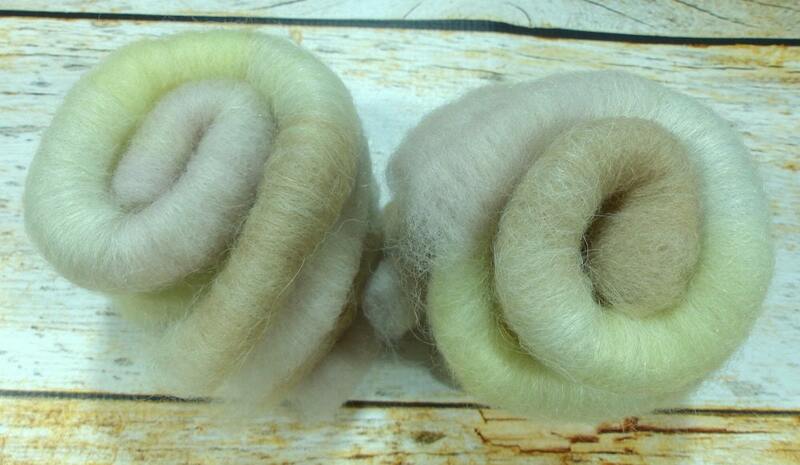 Hand dyed fiber is rinsed in water containing a touch of Lavender Oil for moth repellency. I recommend gentle hand washing in cold water and drying flat in order to maximize the life of your creations. As a hand dyed and hand carded item all rolags are unique. If you would like a larger quantity of a particular rolag set I would be happy to custom dye and card something as closely as possible for you. 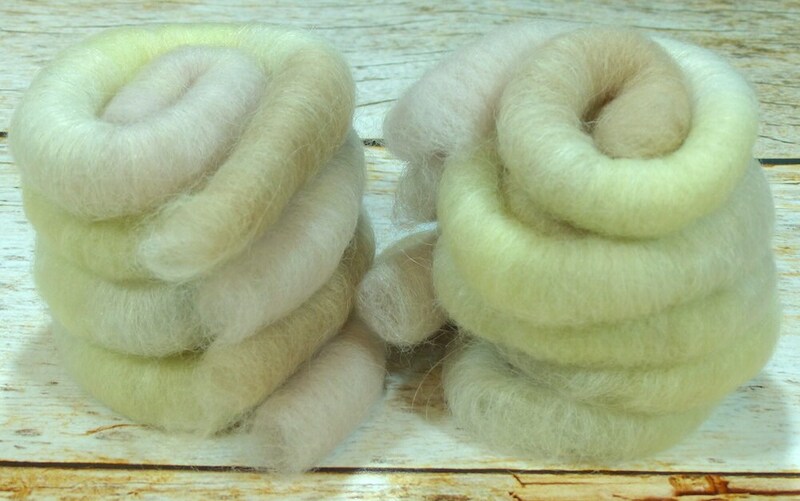 All hand dyed fibers are dyed with professional acid and/or fiber reactive dyes. This was a gift for someone and she absolutely loved it!